Yesterday, Ed had the cataract removed from his right eye. His surgery went well, and we both survived 🙂 One eye done, one more to go, in about another month. The whole experience was an interesting one, but it’s one I’ll share it in another post. The toughest part of the surgery, so far, has been keeping Ed relatively inactive. He’s not one to sit around much, but he can’t bend or lift anything very heavy right now. He was thrilled, this morning, when, at his post-op check-up, the doctor cleared him to ride his new lawn mower tomorrow! Me? I’m not so thrilled with that idea! Guess what?! We are continuing to get rain! 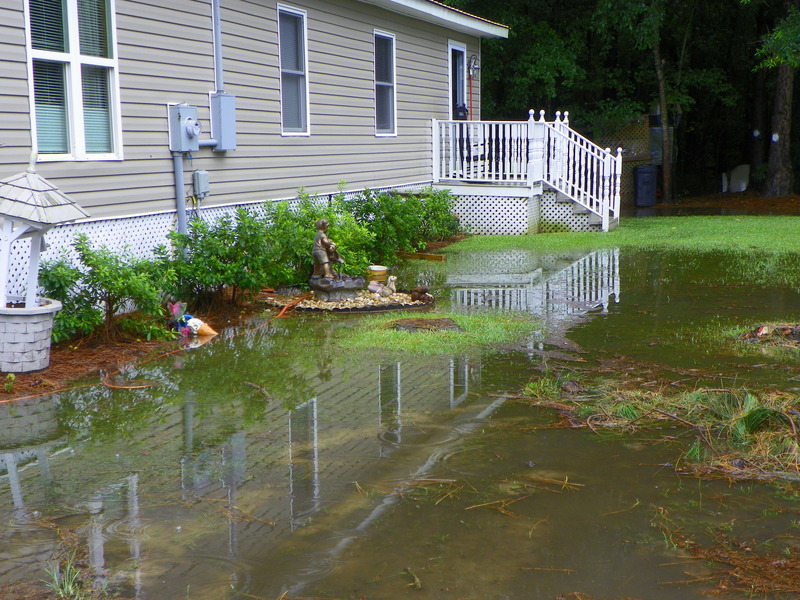 It rained another inch yesterday, and, once again, our yard is underwater. However, after watching the local news the other night, I’m not going to complain anymore! 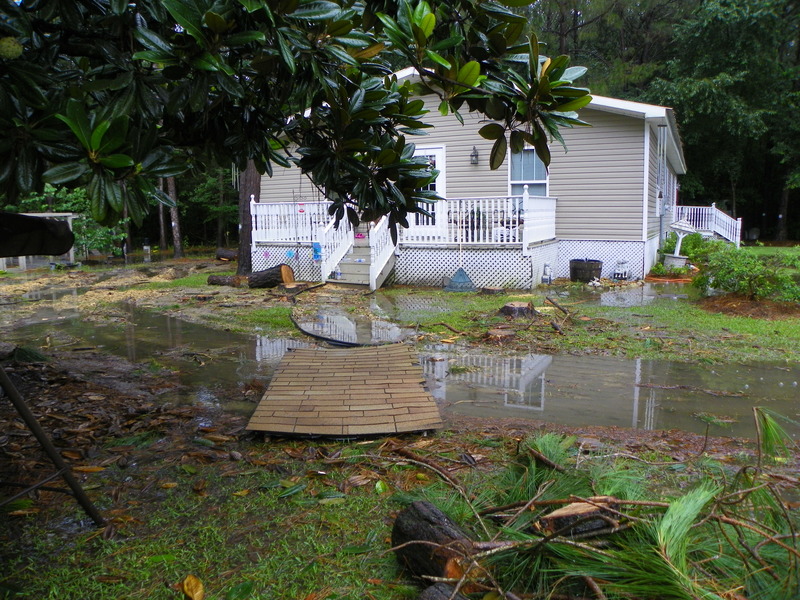 Some people, in nearby towns, actually had their homes and cars flooded, this week. Thankfully, we’ve avoided that catastrophe, so far. Suddenly it doesn’t matter so much that our yard looks like a pond or that we have to wear rain boots to walk outside! At least it’s still dry inside! We’ve also been having some random lightning strikes, along with our evening showers. This week, a football player at a nearby university was struck by lightning during football practice! Fortunately, he survived the strike, but the incident served as a bold reminder of just how dangerous lightning can be. We had another interesting encounter with a Dish Network technician, this week. Our service went out on Monday night, and Ed called to report it. The representative blamed our signal interruption on the rain, and said she couldn’t do anything to help us until the weather cleared. The problem is, it wasn’t raining here at the time! So, I called and reported the problem to a different representative. He, also, tried to tell me it was due to the weather, but I told him it was not raining here at the moment! I then proceeded to tell him that we had a spliced cable that had been taped together with electrical tape–and then buried! The rep finally agreed that we needed a service tech, but said he didn’t have an available appointment until two days later! When the service tech arrived, two days later, he informed me that he had a “quick fix” for me–moving the satellite dish to my flower bed! I.think.not! The tech was not a happy camper when I declined his “quick fix”, but he smoked another cigarette, then remorsefully dug a long trench and buried a new piece of cable. We’re back in service again. Sorry about that last fragment, it was a long one, but that’s it for this week’s edition! I’ll be linking my fragments with others, over at halfpastkissintime. I can see “my girls” and several cats waiting for their breakfast. I’ll be feeding them in just a few minutes. I can also see the remnants of last night’s rain shower. I’m probably going to get my feet wet whenever I go outside to feed the animals! So what else is new? for my husband of 41 years, Ed. I’m also thankful for the three lovely children that God blessed us to have. So thankful that each has grown up to be a responsible, kind, and loving person, and that all are happily married. Thankful for three beautiful grandchildren, and for the fourth, who’s currently on the way. Also, thankful that our home is now paid for–a real blessing, considering we only built it a few short years ago. there are left-overs of black-eyed peas, yam patties, and salmon croquets. I’m thinking I’ll make some blueberry cheesecake for Ed. a pink cotton floral night-gown because I always blog early in the mornings before getting dressed for the day. I’ll change soon. a mess in the living room as I prepare to re-decorate the ‘year round’ tree! It’s time to bring out the apples and back-to-school decorations. They’re currently sitting in a plastic container in the middle of the floor! nowhere today because I don’t have a car! Ed took mine back to the shop to have the brakes looked at again because the wheels have been making a ‘scrubbing’ sound ever since we had the brakes redone. Sigh. “Might As Well Laugh About It Now” by Marie Osmond. It’s a ‘light-hearted’ look at some of the things that have happened in Marie’s life. Marie has a good point, we might as well laugh, it sure beats crying! the sun decides to shine later this morning, and that it doesn’t rain today! to deal with the unexpected! Ed’s new, zero-turn lawnmower has some ‘issues’ (the hour meter doesn’t work and something’s a little off with the handles), so he’s being sent a replacement. It will arrive next Monday. In the meantime, we can still use the new mower we have, if it ever stops raining! things have been going crazy! Due to the excessive moisture from all of the rain, some of our floor tiles have started to come unglued. Ed spent part of the weekend re-gluing them. My washing machine has been ‘acting up’ lately, too. Sometimes it spins the clothes dry, other times, not so much. Over the weekend, the bleach dispenser decided to malfunction, too, leaving white polka dots on most of Ed’s black work socks! Did I mention that, due to more excessive rain, our well water is clouding back up again? Sigh. what’s really wrong with Ed! Yesterday, he got a second opinion from our primary care doctor, who happened to be out-of-town last week. This doctor doesn’t really seem to think Ed has shingles, but says he doesn’t know what it is! He told Ed to continue taking the anti-viral medication, prescribed by Doctor #1, but Doctor #2 also gave Ed a round of antibiotics to take! Good grief! Ed will be having cataract surgery on Thursday morning, and will be home recuperating the rest of the week. In about a month, Ed will get to repeat the procedure. We’ll both be glad when the surgeries are behind us! My birthday is coming up in about ten more days, too. Not sure what we’ll do to celebrate, but I know what I’d like to do! Can you guess what? Since there hasn’t been much sunshine lately, I’ll create my own. 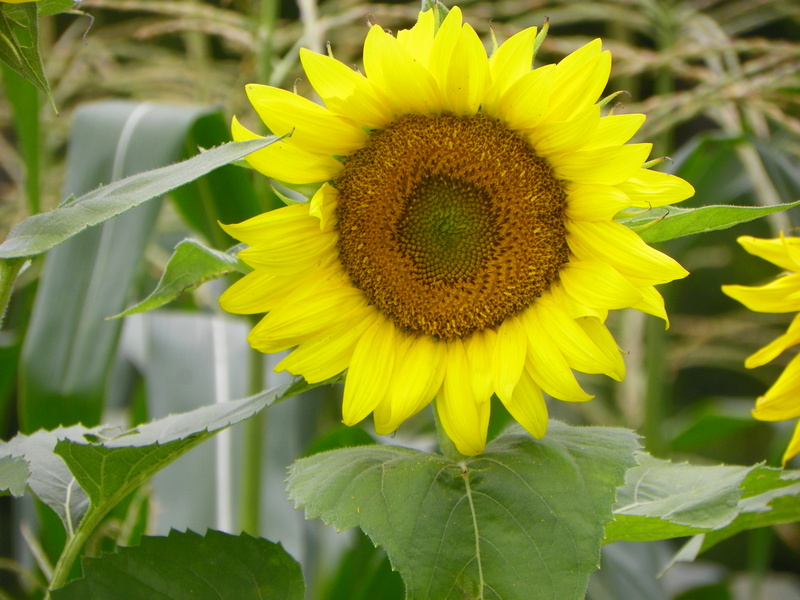 Here’s a photo of one of the sunflowers that grew in our garden, this spring. We didn’t get to enjoy the sunflowers for very long, due to excessive rain, but they were pretty while they lasted! Thanks to Peggy for hosting “The Simple Woman’s Daybook” community. I’ll be linking up HERE. Ed’s been doing pretty good with the shingles. He hasn’t had any pain, so far, just intermittent itching. Ed is now second guessing the doctor’s diagnosis and wondering if he actually has the shingles at all. The rash is still present, on one side of his back, but now Ed wonders if he may have picked up “something” from the ground while he was laying under the house installing the tv antenna or later when he was working on the lawnmower. He may get a second opinion today. In the meantime, he continues to take his anti-viral medication. Ed doesn’t make a good patient, and he grumbles with each pill he has to take! As far as we know, his cataract surgery is “still on” for this Thursday. Hey, who wouldn’t want to have their eye cut on while they’re miserable with an itchy back?! Somehow, in between rain showers, Ed managed to plant a few seeds in our container garden. It gave him a good excuse to get out of the house! He planted some squash, cucumbers, and carrots, and I already have a few lettuce and cabbage plants started in trays. This is not what we had planned for our fall garden, but it will have to do. Our large, regular garden plot is currently still underwater! I’m friends with some of my former first-grade students on Facebook. By now, some have graduated from high school, while others are currently juniors or seniors. I’ve enjoyed watching them grow up, and keeping up with them through the magic of Facebook. One particular student has soared some-what above the rest. She’s a lovely young lady, who comes from a wonderful family. (Her mom is a former co-worker of mine.) She’s won numerous scholastic awards, is an honor student and a pageant queen. However, she’s not pretentious, she’s actually very sweet and kind of shy. This weekend, she also became the mom to a beautiful baby boy. My heart aches a bit for her, as I’m sure this is not quite how she planned to begin her “senior year” of high school. I’ll be praying for her and her family, as they welcome the new baby home, and navigate the new challenges which lie ahead of them all. Speaking of school, I mentioned, on Friday, that our granddaughter, Madison, was about to begin her first year of home-school. Friday was Madison’s actual first day. This year’s lessons are being taught by a teacher via dvd’s. Madison’s school day begins at 8:30 and is over around 1:00. 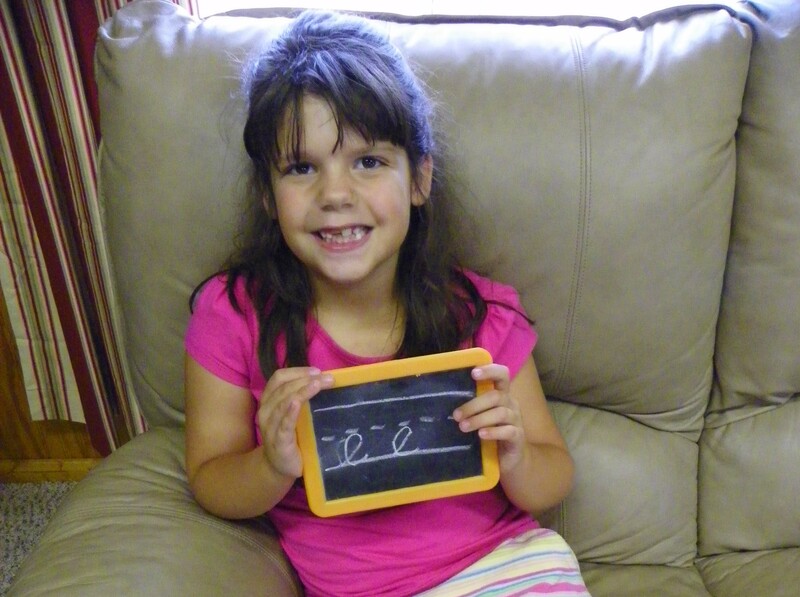 Madison reports that she had a good first day of school, and she rushed over to show, “E” and me, her cursive “e”! I’m so pleased that she’s learning to write in cursive, since our public schools no longer feel the need teach this! 1. Apparently today is International Homeless Animal Day. Have you ever adopted an animal friend for your household? Oh my goodness, yes! Over the years, (one year in particular!) we’ve adopted countless cats, dogs, rabbits, parakeets, hamsters, hermit crabs, and fish. I’m an animal-lover, who spent a year volunteering at our local animal shelter. Need I say more??? 2. How do you adjust to changes in your daily routine? I don’t usually adjust to changes in my daily routine very well. I’m a creature of habit, so when life throws changes my way, I usually end up dealing with a headache or a stomachache, in addition to the change! 3. Which social media platform do you like best? Which one do you like least? I like Facebook the best, Twitter the least. Speaking of Twitter, I’ll be glad when the ‘craze’ passes! Is anyone else annoyed by those annoying tweets being posted while you’re trying to watch a television show? Who cares what other people are thinking?! I take inventory of the freezer, refrigerator, and pantry, and see what items need to used first, or if I’m not feeling energetic, I’ll choose whatever meal is easiest. Do the schools in your area still teach cursive writing? If not, how do you feel about it? Thanks to Heather @ Acting Balanced for hosting this fun meme. Have a great Monday, everyone! 1. Wednesday, July 24th is Drive Thru day – do you have any drive thrus that you have a hard time passing? 2. Other than signing your name, when was the last time you physically wrote something? Yesterday. I’m a list maker. 3. What was the first movie you saw in a movie theater? the latest one? The first movie I remember seeing in a theater was “Your Cheating Heart” (the Hank Williams story). I went to see it with my parents back in 1965. I was ten at the time, and the movie was in black and white. The last movie I saw in a theater was “Toy Story 3”, several years ago. 4. Have you ever visited Disney? Yes, I’ve been to Disney World twice, many years ago. Speaking of keeping calm, thank goodness this week has been relatively calm compared to last week! Having no appointments certainly helped, but the continued daily downpours of rain certainly didn’t help my mood any. 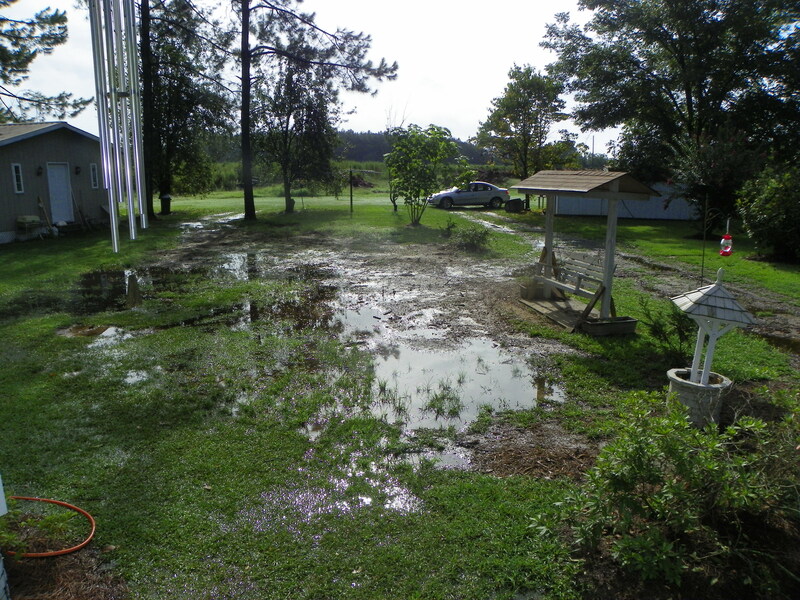 There’s just something about a soggy yard– and brown water running through the faucets that tends to make me cranky! Fortunately, we actually made it through Wednesday and Thursday without any rain! Hurrah! Light at the end of the tunnel? We shall see. I’ve spent a large portion of this week listening to old cd’s. I have quite a collection of older ones, some of which I’d totally forgotten about! I’ve been ‘gettin’ down’ Toby Keith, Tracy Byrd, Dirks Bentley, and Leroy Parnell, to name a few. One day I even threw a little Willie Nelson in the mix. I’ve discovered I can get more housework done if some good music is playing in the background! Ed and I didn’t have any appointments this week, but his mom did. In fact, she’s been to four appointments, this month alone. We’re blessed that the assisted living facility is willing to help shoulder the responsibility for some of these appointments. It keeps Ed from having to take off from work so much, since I’m not comfortable with taking her out alone. I’m afraid she’ll fall. Speaking of falling, I came close to sliding down in our yard this week! There isn’t any grass on one side of our yard, and it is very muddy and slippery. While tending to the chickens, my foot slipped, and I had to struggle to regain my balance. I was wearing a pair of white shorts, and couldn’t help but think how mad I’d have been if I’d fallen in that mud! I’ve managed to contract a case of poison ivy–from the cat! He’s been in the woods, I haven’t! I know exactly which cat gave it to me, and when it happened because of where the rash is located. Last Friday, our fat orange tom cat was laying on top of my car, when I got ready to go to the dentist. The cat wouldn’t move after I cranked up the car, so I had to pick him up and move him myself! Now I have poison ivy on the inside of my right lower arm. I’m working very hard to contain it, because I’m very allergic to poison ivy, and usually end up going to the doctor for a shot! Ed got in touch with a ‘tree service’ this week. We got an estimate for having those twenty-seven leaning and scarred pine trees removed from around our house. It’s a lot of money, but, unfortunately, it’s a necessity. After those three large trees narrowly missed our house, a couple of years ago, we just haven’t felt safe. The workers are coming today to begin cutting most of our beloved pine trees down. I’ll be glad when it’s over! I don’t enjoy seeing trees being cut down, especially so close to our house! I’m worried about what kind of shape their vehicles will leave our very wet yard in, too. The tree trimmers will probably be here soon, so I’d better get up and get moving. That’s it for this edition of FF. 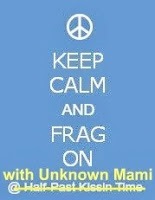 I’ll be linking up over at Unknown Mami’s, who’s filling in as guest hostess for Friday Fragments over the summer. 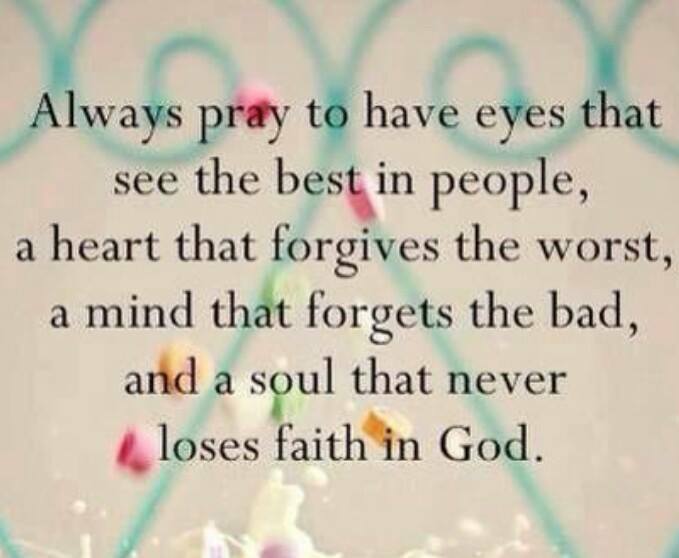 Have a great weekend–and say a little prayer for me today. It’s going to be a stressful one, I’m sure. Brrr! It’s cold here in our neck of the woods! We’ve been having a cold spell for the past three days. This morning, the frost is so thick on our daughter’s roof, it looked like snow. The thermometer says 27 degrees, but it feels much colder than that! It’s Monday, and that means it’s time to join Heather for the Monday Quiz. I’m not sure. It might have been the Clint Eastwood movie, “Gran Torino”, a movie we’d seen before, but watched again. There have been so many occasions during the past two months, it’s hard to remember just one. Low carb/sugar-free diet + me = cranky person! I actually learned there’s a name for this crankiness–“Atkins Attitude”. I’m now taking a vitamin/herbal supplement to help alleviate it. In the living room, sitting in front of me. The only problem is, I can’t decide if it’s the television or the laptop. 5. Have you ever had a reader leave a vile or inappropriate comment ? When I last posted, on Wednesday, it was raining. We received 8 inches of rain in just two days! By lunch, on Wednesday, I called Ed in a bit of a panic. The chicken coop was flooded, and our poor chickens were wading around in several inches of water! I spent the morning trying to ditch the water myself, without success. Ed came home right after lunch, and began to plow drainage ditches with the tractor. By sunset, most of the water was gone, but our troubles weren’t over. Whenever it rains a lot in a short period of time, the water in our well gets cloudy. By Thursday night, the water coming out of the faucets was nasty looking! We’ve been drinking bottled water since then. Our well is finally clearing up, and should be normal within another day or two. I just noticed it’s supposed to rain again on Tuesday evening! Ed surprised me on Valentine’s Day by taking the day off! He announced to me, “I’m yours for the day!” What a nice gift that turned out to be! 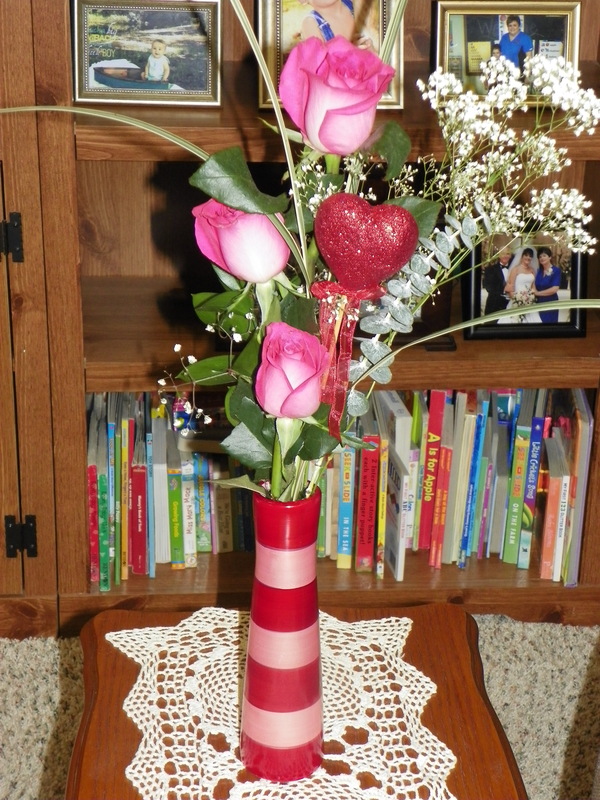 (I neglected to mention, before, when Ed came home to rescue me and the flooded chickens, on Wednesday, he came home bearing a vase of three pink roses, too! Love a guy who not only comes to rescue his lady in distress, but brings her flowers, too!) I baked him a heart-shaped German Chocolate cake–his favorite. We spent part of our Valentine’s Day eating lunch in front of the fireplace at The Cracker Barrel. The day proceeded with visits from all of the grandchildren, plus we made a visit over to our daughter’s house later in the evening. It was a special Valentine’s Day, and I won’t soon forget it. 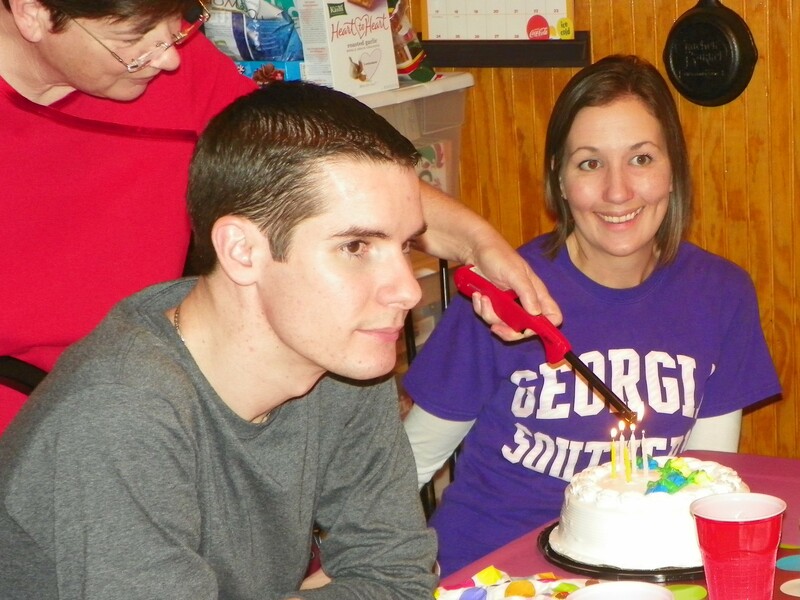 The weekend began with the birthday celebration of our daughter-in-law, Christina, on Friday evening. We celebrated her day with pizza and an ice cream cake. The rest of the weekend was quiet and uneventful. We just stayed inside, tried to stay warm and comfortable, and watched a lot of television. Our religion doesn’t observe Lent, but the good Lord knows I’ve given up plenty during the course of this diet I’m on, and I’d sure like to be able to add some of it back in the future! Pancakes are okay, but I don’t eat them often. I actually prefer waffles. If I do eat pancakes, which won’t be anytime soon, I’d prefer them plain, with a little butter and syrup. You are right, Joyce, I have lots of favorite love songs, but a timeless favorite is My Endless Love sung by Diana Ross and Lionel Richie. I like this video version of it on YouTube. It’s quite appropriate for Valentine’s Day. The usual things– family dinners, meaningful talks, a hug, a kiss, a phone call, an email, a visit, a gift, or some other random act of kindness. Then, of course, there’s this blog–a lasting record of my innermost thoughts and memories. I like pink, but I’m not really choosy when it comes to roses. 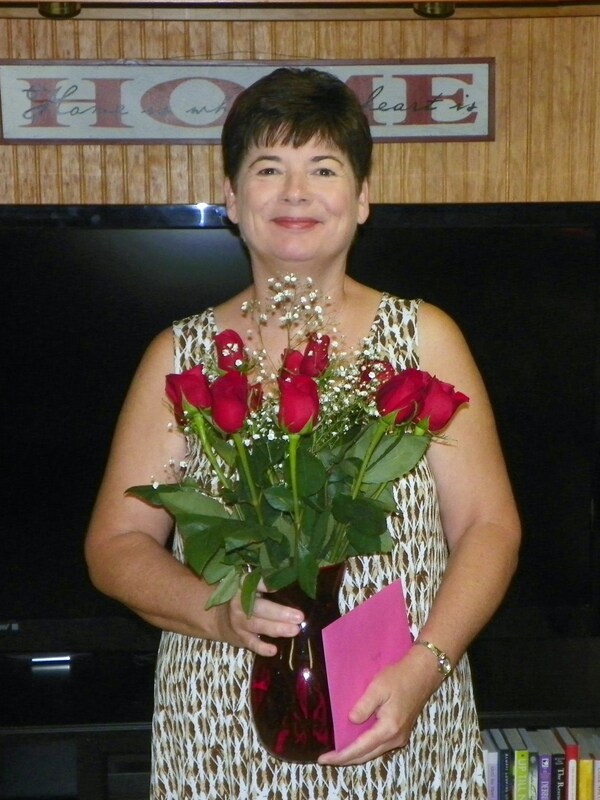 The last time I received flowers was for my birthday back in August– a dozen red roses from Ed. As for my choice between a dozen red roses, purple tulips or pink peonies, I’d choose the red roses. No, Presidential history and trivia doesn’t really interest me, and never has. Of all of the places listed, I suppose I’d most like to tour The White House because I’m most familiar with it. Yes, I can keep a secret, but I’m glad to be able to say that I’m a horrible liar. I went to visit my mother-in-law at the personal care home yesterday. I arrived just in time to sit with her and watch the residents play several games of Bingo. Those Bingo games were courtesy of two kind ladies who come each week and volunteer their time. Bingo winners are awarded prizes from a small basket of goodies furnished by the ladies. After Bingo, the volunteer ladies also entertained with a few hymns on the piano. Thank God for volunteers who give freely of their time and talents, so others can have a brighter day! Ed, also, went by to see his mom after work yesterday. She told him that I’d been to visit, and we sat around and played cards! I can only imagine the look on his face, since he knows I don’t like to play cards! He couldn’t wait to get home to ask me if this was true! One other note before I go, we are entering our third straight day of rain today! We’ve received SEVERAL inches of rain, over 4 inches yesterday alone, and it continued to rain hard all through the night! It will take a month of Sundays before all of this water dries up. I’m going to have to borrow Ed’s rubber boots while I go outside to feed the animals this morning! Do you remember the old song by the Carpenters called “Rainy Days and Mondays”(always get me down)? There once was a time when that song used to be my song, but not any more. Now that I don’t work, I actually like Mondays–and rain doesn’t make me sad anymore. It rained all day on Friday, and I began to think about rain and certain memories from the past that I associate with rain. I wrote down a few of my favorites. I had to use pen and paper to jot them down–I’ll explain later in this post. 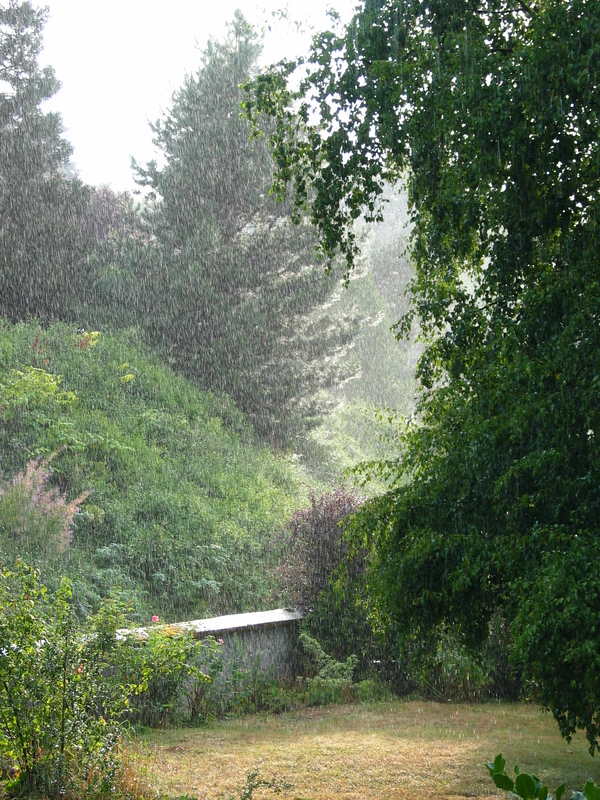 My earliest, and happiest memories of rain are from when I was a child staying at my grandma’s house one summer. I had some pet minnows that I kept in a jar, and after every rain shower I’d take my minnows outside and let them swim around in various puddles in grandma’s yard. For some reason, I got great pleasure from doing that! When I finished, I’d catch my minnows and put them back in the jar…such a simple thing, but so much fun! Flash forward many years later to the winter of 1998 when it seemed to rain the entire winter–sort of like this winter! Our daughter and her first fiance’ had broken up– or rather he left her amid their wedding preparations, without explanation of why–and the tears were falling around our house as freely as the rain was falling outside. It was a very sad and low time for our entire family of five–but we survived! These days when it rains, it has an entirely different meaning! First of all, due to having one of those new tin roofs on our house, if it rains very hard–we can’t hear the television! Worst of all for me, we have satellite internet, and if it rains heavily, we lose the connection! Occasionally we lose the satellite connection for the television, too! I especially hate being without internet–television I can live without! Can you tell that hubby and I are aging senior citizens? Worrying about hearing the television, or having internet– when it’s raining on a tin roof….how times have changed since the days of rain on the car roof when we were dating! On Friday, I was without internet for most of the afternoon. Now you know why I was writing my thoughts down with a pen and paper…just like the old days. How about you, what does the rain make you think of? Do you like it or not? Speaking of Friday…the winner of the weekend giveaway is…heatheranne. Congratulations! Thanks again to everyone who shared their wonderful Easter memories. Be sure to stop by this Friday for a new giveaway.